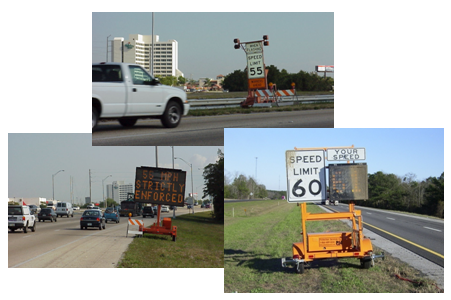 Anyone driving on Florida roads knows that there are all sorts of traffic signs out there for drivers to monitor. These traffic signs can be permanent (like speed limit signs or school crossing zone warnings) as well as temporary warning signs (like construction zone signs). They are all there to warn drivers about hazards and to keep drivers, passengers and pedestrians, safe from harm. If a driver fails to obey a traffic sign, he or she faces the possibility of a police officer giving them a traffic citation for their failure to obey state law. See, e.g., Florida Statute 316.183. A driver also risks being found liable for any damages that may result from a car crash or traffic accident caused by the driver’s failure to abide by the traffic sign: a driver’s failure to obey a traffic sign may be considered as the “proximate cause” of the accident and the resulting injuries caused to people (lost wages, pain and suffering, etc.) and property. The at-fault driver was driving recklessly. Speed limits are established for every road in the State of Florida and there are also special areas and conditions where lower speeds are the law; these include areas near a school or hospital as well as construction zones. Drivers are responsible for being aware of their surroundings and knowing the proper speed limit for the span of roadway they’re driving. Rear-end collisions, for example, in school or construction zones are often caused by a driver who fails to notice or abide by warning signs that speed limits have been lowered. This type of driver is usually cruising along and he or she fails to slow down because they were either distracted and didn’t see the warning sign (they were either texting while driving or they were talking on their cell phone) or because they simply disregarded a warning sign, which results in the driver slamming into slower or stopped traffic ahead of them on the street. Construction traffic warning signs are specifically designed to try to prevent these kinds of serious crashes by warning of lowered speed limits as well as containing specific language warning of “construction zones ahead.” Sadly, some Florida drivers ignore and fail to obey these traffic warnings which results in serious injuries and even death. Traffic signs as well as stoplights, construction zone cones, and other traffic warnings that can be seen as they existed at the time of the accident and near the point of impact are vital to proving liability and fault in these kinds of car accidents. Also, police reports and law enforcement incident reports may often include information about the existence of traffic signs that were ignored by the driver that caused the crash. This is especially helpful to an injury victim when there were speed limit signs posted and there is evidence that the driver was speeding and driving too fast at the time of the accident.